The Green Business Team’s Hotel Concept with GBT-UV13 can be applied at hotels, schools, health centres, hospitals and offices. 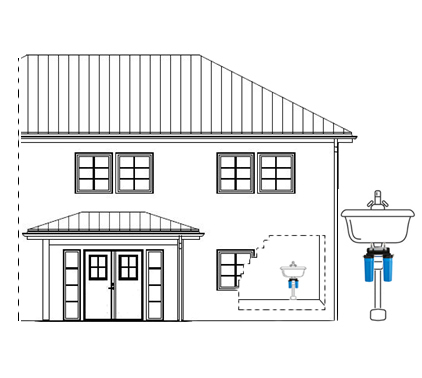 The GBT-UV13 is made for assembly at a specific single site or tap, and can be installed at all sites/taps needed to produce clean and safe drinking water. It eliminates 99.99% of bacteria, viruses and chlorine-resistant parasites such as Cryptosporidium and Giardia. The water passes first through two different cartridge filters consisting of a particle filter and an active carbon filter. Thereafter the water passes through a UV-type Sterilight VT1. The product is delivered with a tap.